Whilst the UK has been suffering with storms and flooding, thoughts are already turning to the aftermath and clean up operation. Whilst there is the initial clean up, what follows can be a long term problem. Damp, Mould and Mildew. Many home owners and business owners have realised that Infrared heaters are low a cost solution and we are now seeing a huge demand for our complete range in flood effected areas. Infrared panel heaters radiate heat to the walls, floors and other objects. The heat is absorbed into the fabric of the room drying out the damp areas without affecting the humidity, preventing the development of damp and the resulting mould. Yoga Centres Embrace Infrared Warmth. Whilst Infrared heaters have been used in many situations, more recently Yoga instructors have discovered the many advantages of FAR infrared heating. We have seen a massive increase in the sales of infrared heaters to yoga centres and they in turn have reported that they have seen a rapid growth in students / customers to Yoga classes, hot chambers, health clubs, alternative and complementary health clinics in the UK and across Europe. They can be used to heat the room to a comfortable level, or raised to higher temperatures for hot yoga sessions like Bikram Yoga where the increased heat is required. Infrared heaters do not dry the air as they radiate the heat they are much better for our respiratory systems as they do not circulate the dust, allergens and pollutants. They are reported to benefit many ailments and help speed recovery of injuries, improve the immune system. When used in Yoga studios they warm the body rather than the air and stimulate the cardiovascular system, helping the immune and lymphatic system, detoxifying the body. Students report a feeling of well-being and come away from classes more refreshed, invigorated and revitalised. With the house market being quite slow in many areas, home owners are choosing to extend rather than move. As a way of saving on building/plumbing costs and long term savings on heating bills, many builders are now recommending the installation of Infrared heaters. We are now seeing more and more bulk orders from local building companies as both they and home owners become more aware of the benefits and savings of using infrared heating panels in their new bedrooms, bathrooms, kitchens and home offices. In a research done by the University of Kaiserslautern (Germany, Univ. Prof. Dr.-Ing. Peter Kosack) 6 , a German distributor compared infrared panels with conventional gas heating. The Infrared panels were compared with conventional gas heating. The result: up to 50% energy savings possible with infrared panels. Over a period of 5 months, two identical apartments were tested. In one apartment traditional gas heating was installed and the in the other one only infrared panels were used to heat the rooms (only the water was heated with gas). The average consumption of gas and electricity per square meter was 187,85 kWh for gas heated apartment and 71,21 kWh for the apartment which was heated by infrared panels. This result means that using gas heater will need almost 3 times more energy to heat the same room. 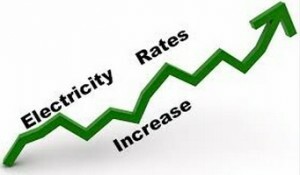 However, the factor mentioned above does not take into account the fact that Gas and electric prices have been rising at alarming rates and will continue to do so for the foreseeable future, making the saving made with Infrared Panels even more significant.